You are here: Home / Blog / SEO Training / No Meta Description Tag – How does Google handle it? Meta Description tags “may” (but not always) be used by Google to create the two lines of text (ie: the snippet) used in the search results. But what happens if you don’t have a Meta Description tag? In the past, Google would nearly always take the first paragraph of text from the page and use it for the search snippet. Here’s an example. Note that Wikipedia does not use Meta Description tags. Notice that that the snippet and the first paragraph (or first P-Tag) are identical. A couple of days ago I decided to remove Yoast (I hate it!) from my plugins and that meant that I lost all of my Meta Descriptions. I could have used an alternative plugin but I’ve decided to ditch Meta Description tags altogether and optimise my visible page content instead. I’ve never enjoyed writing Meta Description tags and I’d rather focus my energy on visible page content. After a couple of days, Google updated its search snippets and I was amazed to see that the snippet was based on a H1-Tag, H2-Tag, a title attribute from an inline image and the first P-Tag. Notice that in the following snippet it says “SEO-training-infographic-tx”. This was the title attribute of the image. I immediately updated the title attribute of the image and the next day the snippet changed to the following. 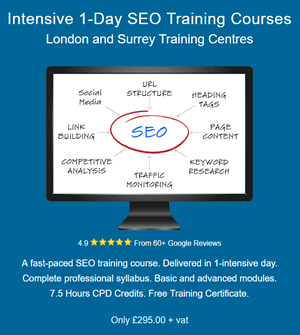 Notice that the text “SEO-training-infographic-tx” has been changed to “10-standalone modules”. You can craft an engaging snippet without using Meta Description tags. It’s important to review and periodically tune your page tags. It’s important to write meaningful text in image title-attributes. Save Time and Money with WordPress Themes What is AMP and What Effect Does it Have on SEO?